In the Name of Love: Episode 11 | TeleNovela Channel - Bringing you closer to lifes drama. 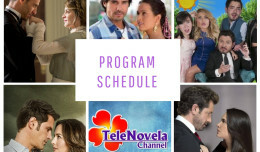 Misunderstanding often leads to trouble as Paloma gets grounded when Carlota discovers her little secret. On the other hand, Rafael’s gesture towards Camila sets Diana on fire.